Speaking at the Advent Carol Service at St Mary’s Priory Church the RC Archbishop of Cardiff, The Most Revd George Stack reminded us that even though Advent is the start of a new liturgical year, it is not starting the ‘same old’, for we have changed from last Advent by our experience of life and by being further along our faith journey. Earlier in the service the seven lessons from the Holy Scripture toke us through the prophetic promise of the Old Testament in to the New. 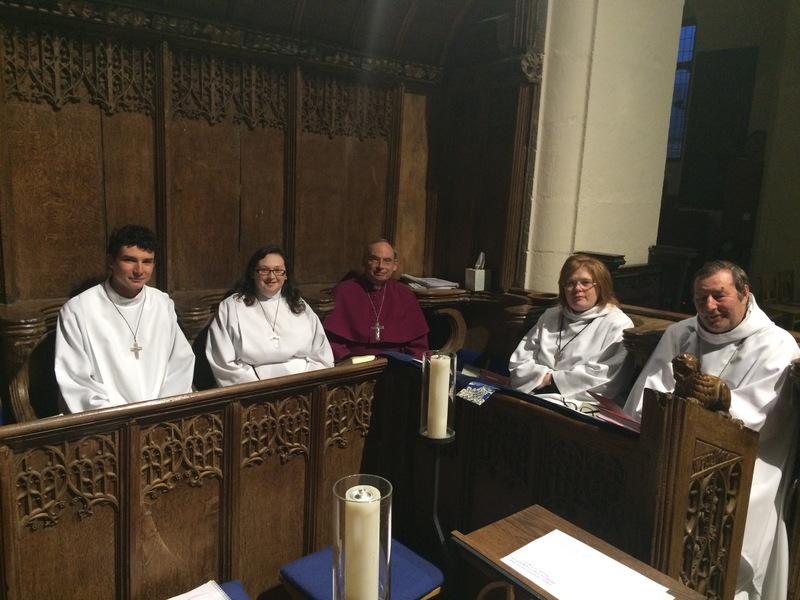 Lessons were read by a Chorister, MU Enrolling Member, a Sub Warden, a server, a member of the Holywell Community and our LLM Jeff Pearce (photograph centre). Among pieces sung by the Choir were Sir Charles Villiers Stanford Benedictus in B flat, The Advent Prose, The Cherry Tree Carol, and Charles Wood O Thou the central orb. 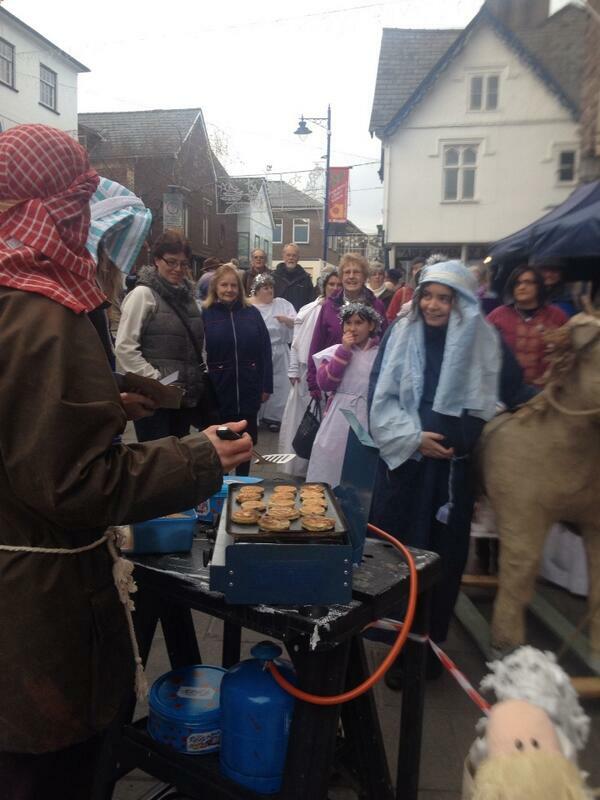 CAROLS TAKE THE MESSAGE OUT………. During December we will be taking out the good news of Christmas by singing carols in the Town’s pubs on December 10th & 17th and in the Residential Homes on December 22nd. We will join other Christian Churches in the town to sing in the shopping Centre on Saturday morning, 20th. Again this year our Walking Nativity will move from Holy Trinity Church through the town to the Abbot’s Garden at St Mary’s Priory. 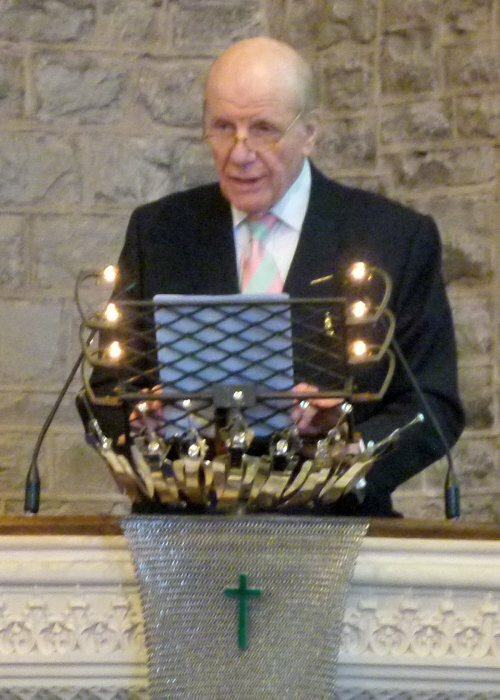 As we mark the third Anniversary of the death of Dean Jeremy Winston it has been revealed that the Diocesan Advisory Committee has agreed in principle to advise the Diocesan Chancellor that he should grant permission for the moving of the Jesse Tree and the creating of a Memorial Window above at the East end of the Lewis Chapel. Fr Jeremy died on November 21st 2011, only two months after being installed as Dean of the Cathedral. He had previously served as Vicar of Abergavenny for 18 years. 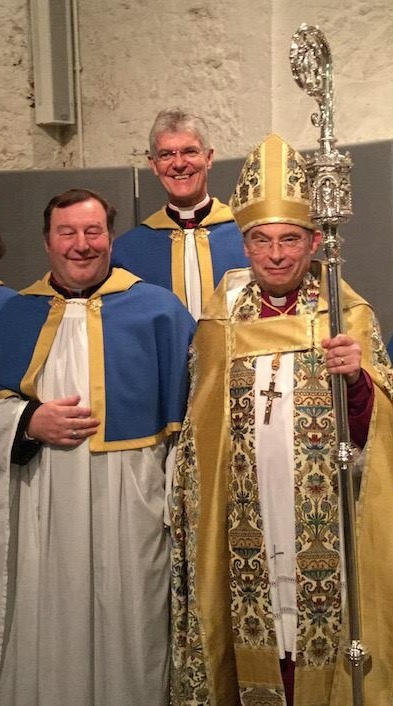 On Sunday night the Bishop of Monmouth Collated Fr Mark Soady as a Canon of the Cathedral Church of St Woolos, Newport before the Cathedral Dean Installed him in to the Canon’s Stall of St Teilo. Canon Soady served as Minor Canon at the cathedral from 2003-2008 and as Hon Priest Vicar from 2011. 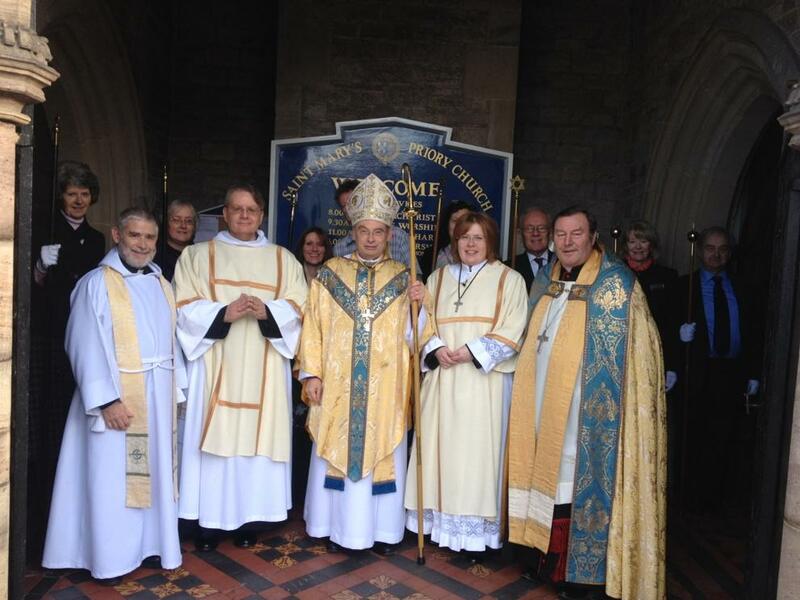 The Bishop of Monmouth yesterday (November 15th) Installed Revd Sarah Gillard-Fualkner as Deacon and Sub-Prior . The service was in the context of a Mass for Our Lady. 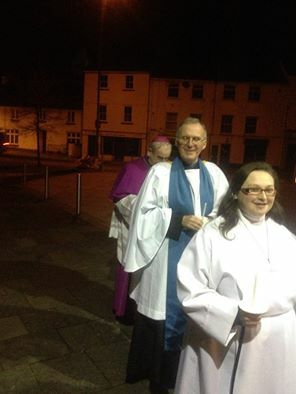 It’s good to be here to license Sarah into her new roles as Parish Deacon, sub Prior and Bishop’s Chaplain. I wonder if there is enough of Sarah to go around, but those of us who know Sarah well, knows that she puts a great deal of energy and commitment into her work and I personally have been a beneficiary of her multi tasking. I know also that Sarah is greatly shaped by her faith, traditional yet vibrant, and this coming year some of that faith will be brought to the fore as she co-ordinates the Walking with Mary programme in anticipation of the Diocesan Pilgrimage to Walsingham. It’s good therefore that we have this passage from Luke relating the Visitation story as giving an insight into the motives of Mary and how we -and in this particular instance -Sarah – can benefit upon closer examination and see what it says about our vocation and how it fits in with God’s plan. Mary was on a mission. She had been told by the angel Gabriel that her cousin, an elderly lady was pregnant. Mary had to go to see her. Why? To share in the great wonder of Gods plan, unfolding in their midst? To have a gossip about what’s going on. Now, it is clear that Mary was not like most young girls! She had a mind of her own. It would have been unusual for a young girl to travel away up into the hill country. But she did. She was on a mission and nothing was going to stop and with the impetuosity of youth she went with haste! Oh, if only we were ready to do God’s mission with such haste! We prevaricate, we have our meetings and our parish councils and often it’s about everything else part from the Mission. What mission – the mission of the incarnation. God coming amongst us, bringing salvation, bringing healing and a change of life. Are you directly linked into the mission? Sarah needs to remind you that God comes first. You know it’s all about being human. Being alongside each other. Supporting each other. There should be no them and us in the church. Whatever them and us you want to talk about. It’s about greeting each in love. Celebrating our common humanity in Christ. The work of a Deacon is to bridge the gaps. In a purely human way to do the work of service that brings the love of Christ. Sarah you are known for this work. I have seen it in the way that you go about your work and support others. You have had a special ministry for ordinands in college. You have a wonderful way of working with prisoners as a Prison Chaplain. I know you will, time willing, engage in work in the community here in Abergavenny. Mary greeted Elizabeth. What followed? Joy! The child leaped for joy! You can hear the laughter, the sheer joy and exuberance of the occasion as both Mary and Elizabeth realised that God was at work and it was going to be ok. Laughter. I don’t need to tell you about Sarah’s laughter. It doesn’t so much echo around a parish but the whole of the Diocese. It’s a timely reminder that we are, above all, a people of joy. How can we not be, when we know that God’s mission is our mission. And in our community we are shaped by love, we greet each other in peace and goodwill. It cannot be better than that. Mary said My Soul Magnifies the Lord. To magnify means to grow bigger. And if my soul like Mary’s needs to grow bigger to accommodate God then let it be so. It does not mean that I grow smaller – that’s a rather strange view that almost suggests that my humanity diminishes in order to allow God to be in charge. Not at all. In the same way that love has the capacity to be added to and not subtracted, as a parent can love more than one child equally. So it is with us. By accepting Gods love, our soul, our very life, can expand to new horizons. We are not diminished, but we can burst out with Gods glory and goodness, his grace and his healing love. The journey of Mary is a wonderful forerunner of the Christian life. We accept the mission of love, we serve others in love, we grow in the stature of Christ as we allow his Ministers to develop within us. 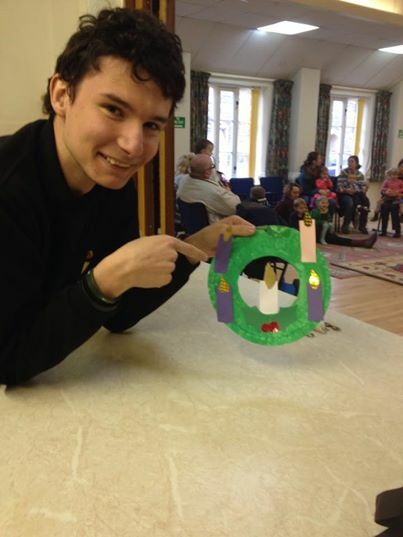 This is a model of joy, it is the model of the church. Sarah and all the people here gathered: journey well. Do not be distracted. Keep on message! Be kind to each other and let joy flow. And finally rejoice in the Lord, for he is here and his spirit dwells within us! 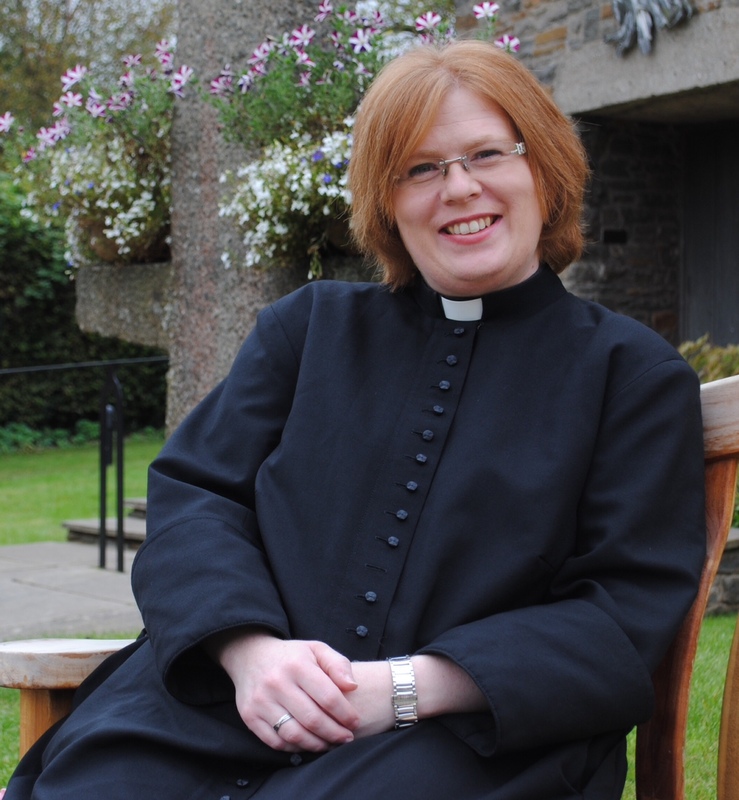 At 12noon on Saturday, November 15th the Bishop of Monmouth will install Revd Sarah Gillard Faulkner as Deacon and Sub-Prior. During the service the Holywell Community lay members and others will present symbols of Ministry to Deacon Sarah: Stole, Catechism, Home Communion Set, Bible, Paschal Candle and Holy water. The Priory Choir will sing William Byrd’s Ave Verum corpus and Ave Regina . 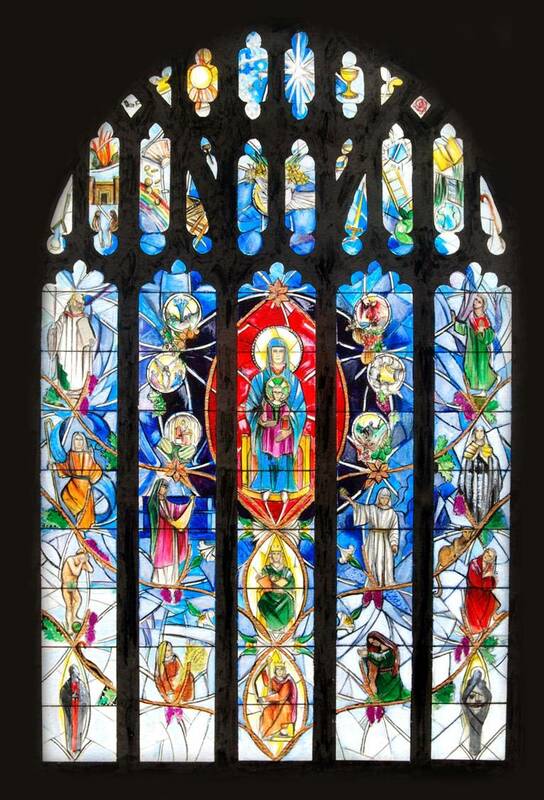 We have seen a number of tragic and fatal road accidents on the roads around Abergavenny lately, at 3pm on Sunday, November 16th we will remember all who are suffering as result of Road Traffic Accidents with a service in the Priory Church. Just one week after those killed in war are honoured, bereaved families, politicians, and representatives from the emergency services will gather to remember all lives lost and broken on our roads in a number of events taking place across the country. This year the theme for the World Day of Remembrance for Road Traffic Victims is ‘Speeding Kills – Design out Speeding’; inappropriate and excessive speed is a key cause of crashes, road death and injury. RoadPeace is calling for the use of technologies such as speed limiters and black boxes to be fitted in vehicles, as well as a default urban 20mph limit. Fr Mark Soady will be installed as a Canon of the Cathedral Church of St Woolos, Newport at a service in the Cathedral on Sunday, November 16th. 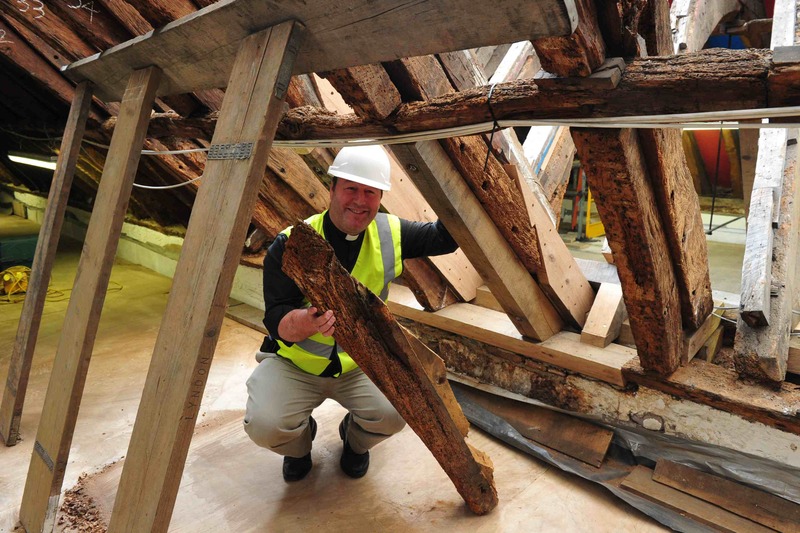 Having been Licensed by the Bishop of Monmouth, Dean Lister Tonge will install Fr Mark in to his new Canon’s stall. Gwent Bach Choir will perform The Armed Man ( A Mass for peace) by Karl Jenkins, and Angus Dei by Samuel Barber on Saturday November 8th, 7.30pm. On Sunday, 8th Remembrance Sunday the fallen will be remembered at all services. The main service at 10,50am will include the Laying of Wreaths and a 2 Minutes Silence at 11am. 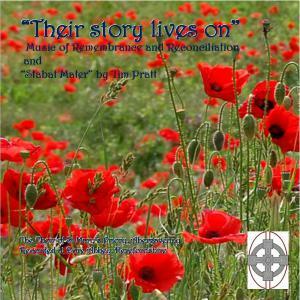 To mark the Centenary of the start of World War1 the Priory Church Choir have produced a CD of Remembrance Music. The CD is available form St Mary’s Priory.